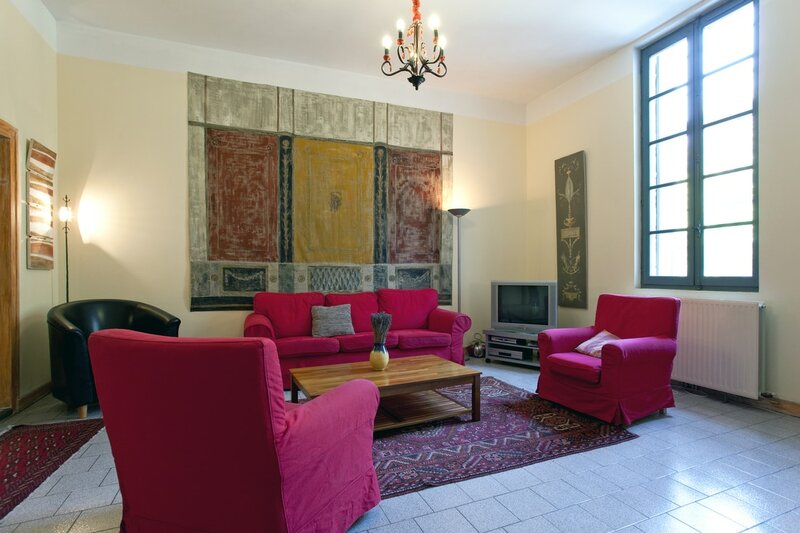 This large 3 bedroom (1.5 bath) apartment is the perfect place for your Provence holiday. 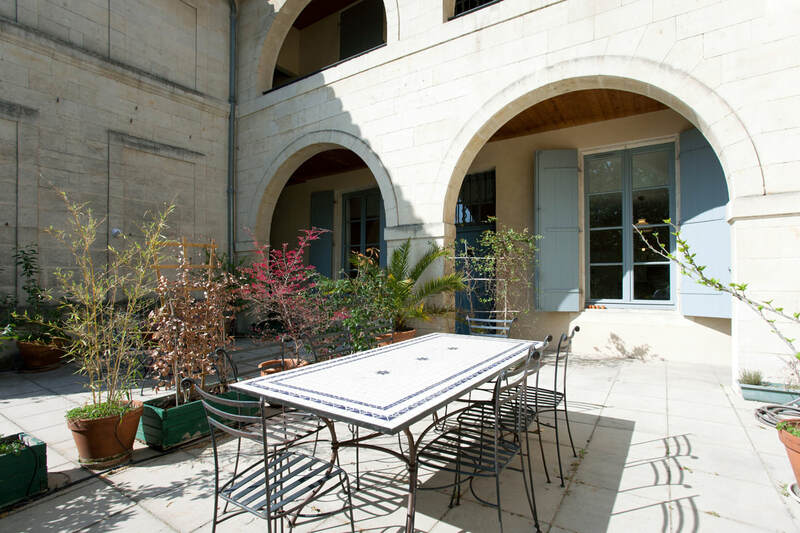 It is decorated with original artwork by local artists and has access to a huge terrace on the Rhône river. A perfect place to enjoy your vacation in the heart of western Provence! Recently renovated, the vacation rental apartment is quiet and sunny with 5 m (16 ft) high ceilings. It consists of three bedrooms (two bedrooms with double beds and one bedroom with two single beds), a living room, kitchen/dining room, a home office with broadband Internet and WIFI, English-language satellite TV (with major UK channels), French cable TV, unlimited phone calls throughout most of the world and a bathroom and separate toilet. It is within walking distance of all Beaucaire's attractions, from the picturesque ruined castle to the lively canal promenade, as well as restaurants, cafés and shops. Click here for a video tour of the apartment.